Uni breaks are never long enough, right? Semester 2 is just around the corner. Staying on top of your study load means being proactive and getting a plan in place ahead of time. Do the thinking now, before you’re too busy, and halfway into your first assessment piece. Re-boot for next semester in 3 steps. Prepare your study space and materials. Start to make a plan and create a study schedule. clear your study space – put old assignments and files away; archive them or transfer to an external hard drive, off your normal computer. Why not add a few fresh touches, like a photo, motivational quote or a plant? When you have registered for your classes, you’re starting to gain a sense of what your routine will look like during semester. This is a good time to be proactive and start to plan your approach to the semester. You can be more flexible for when the unexpected happens if you have a plan and study tasks scheduled regularly. 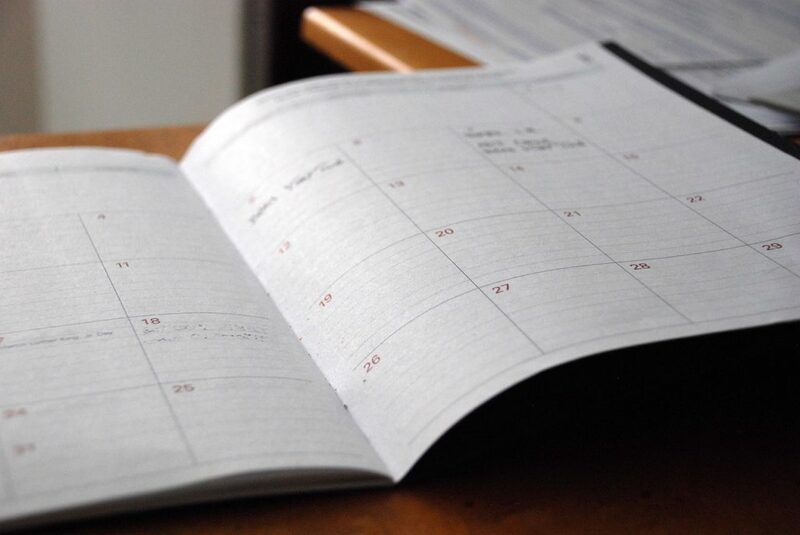 Start by blocking out time for your classes, plus any important dates and commitments you know about. For more planning tips, check out our blog post about setting up for study success. Why not sign up to a study skills workshop? Or you may like to brush up on study skills using the online modules in Blackboard. Once logged into Blackboard, either go to the community site directly and click ‘Enrol’, or use ‘Community Finder’ and search with the name ‘Library Back to Study’. By enrolling in the community site, you will have ready access to these resources from your Blackboard home page. Set some goals – What would you like to improve on this semester? What changes would you like to make to your assignment work or exam preparation? Effective goals are ‘SMART‘: Specific, Measurable, Attainable, Relevant, Timely. Need help through the semester? Ask a Librarian – online, at the Library Helpdesk, or by email and phone.